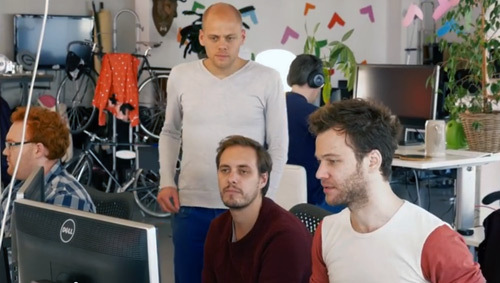 Springest, a Dutch company that runs comparison websites for training courses, calls itself a Holacracy. This means that they have no fixed positions within their organization. Everyone takes on changing roles. The roles that are needed at a particular moment are distributed among circles. Although these circles often are subordinated to larger circles around them, internally the circles are completely self-managing. Nevertheless, a Holacracy introduces more structure rather than less. For each role, all current responsibilities and actions to be taken are recorded in detail. A holacratic company can respond quickly to tensions, i.e. problems or opportunities. This is done by way of rapid cycles of sense and respond. Each response means adjustment of the roles. Does this work, and what is the resemblance to methods as Lean and Scrum, which also encompass iterative problem-solving? To find this out, I spoke with Ruben Timmerman. Formerly he was the CEO of Springest, but that is a position unknown in a Holacracy. Today, Timmerman has changing roles, like everyone else in his company. At the moment he is among others 'evangelist' and 'user experience nerd'! To respond quickly to changes, to make optimal use of the talents of the employees, and to increase the feeling of meaning, there is an increasing attention for self-management. A special form of this is the Holacracy, a blueprint for a self-managing organization. Such a Holacracy even has a 'Constitution'. This is a manuscript with about thirty rules, which the former CEO signs to 'transfer the power'. In normal life you fulfill multiple roles, in different groups. Those roles you take up freely. A holacratic organization functions in the same way. A number of roles is defined, which are needed at that particular moment. These roles are not linked to people, but to work which has to be done. You take a role for a time on you, and then you hand it over to someone else. It is also possible that a role has to be adapted or is not needed anymore, or that a new role has to be created. So this system with changing roles remains constantly in movement. 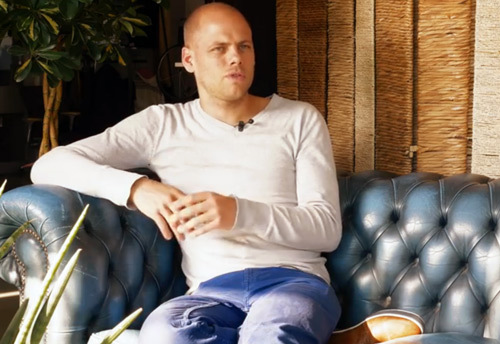 Ruben Timmerman (Springest): "When we were a startup, we were agile like a speedboat. When we grew, I did not want to introduce departments, because that makes you sluggish like a super tanker. Holacracy makes us behave like a fleet of speed boats, following the same course. A Holacracy is often described as an operating system for an organization. The constitution (compare this with for example an android operating system) prescribes how employees can modify, add or delete roles (compare these with apps on a smartphone). To keep the system manageable, the roles are spread out over circles, which could be compared with the organs in an human body. To make sure that these organs (the circles) communicate well with each other, each circle has someone representing it as Rep Link. In each circle there also is someone who has the role of LeadLink. The work this person does is comparable with that of the leader of a political party. The LeadLink divides the roles among the participants of a circle. As a result, the participants of the circle (compare these with party members) gather a portfolio of roles. Another similarity with a political party is that the employees participating in a certain circle can suggest new points of interest (new roles), when the market or customers demands this. The LeadLink is not a manager old style, in the sense that he or she can order someone to accept a role. You can be asked for a specific role, but you remain free to accept it or not. A LeadLink also cannot instruct how you should carry out a role. That also remains entirely up to you. As a rule you have roles from more then one circle in your portfolio. So, in a Holacracy you are a member of several political groups at the same time! Although the employees freely take up roles, in a Holacracy there is not less but more structure than in an ordinary organization. For each role is described in detail (using sentences with verbs) what its purpose is. During each weekly or bi-weekly tactical meeting of a circle, which focuses on the operational work, you are expected to briefly explain what you have done to reach the goals of your roles, using sentences with past participles. If you fail to achieve the goal of a role, or if you don't like a role anymore, you can put it aside. In addition, if you perform badly, the Lead Link might take away a role from you. The best known example of a Holacracy is the large online retailer Zappos, a subsidiary of Amazon. 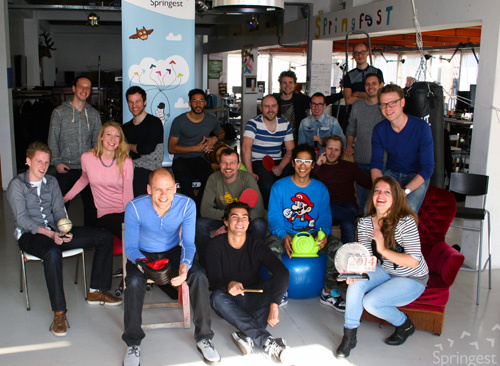 One of the several dozens (mostly fairly small) organizations that have adopted Holacracy in the Netherlands is Springest. This company runs comparison websites for training courses in several countries. Springest wants to position itself as "the Amazon in the field of learning". Ruben Timmerman is one of the founders. I asked him about his experiences with Holacracy. Springest at the time already applied Getting Things Done (GTD) of David Allen. This method defines tasks in much detail, because the human brain has problems memorizing them. That way, maximum space is created in your head for creativity, is the idea. The organization can respond quickly to tensions, read: problems or opportunities. When someone notices that a particular process is not running well, he or she can propose to adjust the corresponding roles and responsibilities. This is done in the next monthly governance meeting of the circle the process belongs to. It is also possible to propose completely new roles. When you are not a member of the circle of which you would like to adjust a role, you can approach the Rep Link thereof. In a Holacracy, people can hand-off and pick-up roles at will, and they are free in the way they want to achieve the goals described for those roles. As a result, the people can make much better use of their skills than in a traditional organization. At any moment it is clear who has what roles and what responsibilities. Proposals for new roles in the organization are defended during the governance meetings of the circles, usually by the person who came up with the proposal. During such a meeting, striving for consensus is not the aim. By way of a process called Integrative Decision Making, everyone is given the opportunity to ask questions first. When the proposal has become sufficiently clear, people can start to express objections. When there appear to be no major risks, the proposal usually will be simply tried out. For each new or adjusted role, about three to ten criteria are formulated. These will make it possible to judge if the proposed change works out well. When new tensions arise, or when the metrics indicate that the results are not like intended, a role with its associated responsibilities will be adjusted again. In fact, the circles within a Holacracy react by way of quick and successive cycles of sense, respond and adjust. A problem (tension) is noticed by someone, and then a response follows. This approach resembles Lean and in particular Kaizen. Lean also iteratively strives for increasingly better solutions. However, there is also a difference: Lean focuses on continuous improvement of work processes, while the goal of a Holacracy is continuous adaptation of the organization, and in particular of the roles of the people in it. How they do their work is left freely to them, in a Holacracy only the outcomes are monitored. This resembles how problems are solved within Lean. Improvement teams within Lean organizations do get specific goals, but how they achieve those goals is left up to the team members. Another method which has a certain overlap with Holacracy is Scrum. Scrum meetings in agile software development look like governance meetings: the software development team meets briefly and then distributes the roles and tasks until the next meeting. So far, we described mainly the benefits of Holacracy. However, there are also a few disadvantages. In a Holacracy time is saved because it is possible to adjust the organization quickly: tiny and continuous reorganizations replace large reorganizations. On the other hand, in a Holacracy it is needed to describe every task - really every task - in detail, and to continuously (re)assign these tasks to particular persons. This takes a lot of time and seems quite bureaucratic. In addition, it limits the employees in their freedom to do something for the organization outside what is prescribed by the roles they have at a certain moment. Also a Holacracy, with its strictly defined responsibilities, might give employees the feeling that everything they do is constantly under a magnifying glass. Springest grew last three years with an average of 20% per year. In addition, they claim to be the market leader in their field in the Netherlands. So at least in their organization, the application of Holacracy works out very well. You might think that the word Holacracy means something like total democracy, but it is in fact a contraction of control (-cracy) by way of holons (hola-). Holons are circles which are internally completely self-supporting, while these are at the same time part of a greater whole, the circles around them. The Holons or Circles in their autonomy resemble the self-steering teams of for example the home care provider Buurtzorg, be it with a remarkable difference: In a Holacracy you are not part of one specific team. Usually you participate in more than one Circle. The Holacracy concept was invented in 2007 by Brian Robertson. He combined existing self-management principles of among others Lean and Scrum in a single organizational model, which he supplemented with approaches based on his own experiences. Holacracy is a registered trademark of HolacracyOne. When consultants or other parties market or sell products, services, or trainings using the Holacracy trademark they need a license. However, companies can freely practice Holacracy in their own organization. The can also say that they are doing so, like Springest does in this article. Holacracy actually is a kind of open source model: all information about it is freely available on the Internet. You can freely use the Holacracy model internally within your company, unless you are going to exploit it commercially, for example in an advisory role.